Remodeling and Renovating in Florida Since 1976. Whether it's adding or redoing the siding on your home or a complete renovation - we are your "preferred remodeler." We promise Quality and Assurance to all our customers. Robert Hershberger Construction has been providing construction and remodeling on the Treasure Coast for over 35 years. Our Top Priority is quality and assurance which shows with our A+ rating with the (BBB) Better Business Bureau. Some of our specialties are new siding (such as Hardie Plank), new kitchen installation, bathroom remodeling, exterior home painting, whole house interior painting, and any size residential or commercial construction. We work from Vero Beach to Palm Beach and as far south as Boca Raton. Call us anytime and we'll quickly setup an appointment to give you a complete "walk-through" consultation and a free remodeling estimate to meet your budget needs. Whether you're building, putting on an addition or just replacing the siding on your home, the siding you choose is a big decision - it's also a great investment you can make for your home's "curb appeal." CertainTeed has been developing home building products for many years - which is why an overwhelming majority of homeowners and businesses choose to use their fiber-cement siding and construction materials. Many people say that there fiber cement siding products have the look and feel of real wood siding along with excellent weather resistance, durability and a natural elegance. So if you want to install new siding on your home - we are your "master remodeler." Why are we a "Master Remodeler?" According to CertainTeed, they specifically partner with the most professional contractors from across Florida to make sure that their siding and building products are installed correctly. All CertainTeed "Master Remodelers" must satisfy their strict qualifications prior to gaining membership to their remodeling program. Click here for the Master Remodeler qualifications. 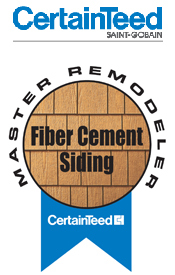 Click here to learn more about CertainTeed Building products. Exterior Portfolio® is a full collection of shapes, textures and colors that can be used to express an unlimited range of architectural styles and exciting design combinations. Whether it's to complement or contrast, add depth and dimension or just a simple upgrade - Exterior Portfolio your the best choice. Vinyl Siding (by Crane) has come a long way since it was developed many years ago - they now offer CraneBoard® as it's newest hi-tech Solid Core Siding. From the traditional Colonial to the most groundbreaking Contemporary design, CraneBoard® can be both a starting point and an exciting accent. Mix and match CraneBoard® 7, CraneBoard® 6, CraneBoard® Board & Batten and CraneBoard® Beaded in 17 colors to invent a style that turns your house into your home. So - if you need Vinyl Siding - Exterior Portfolio (by Crane) is an excellent choice. We are a certified and exclusive Exterior Portfolio vinyl siding installer. 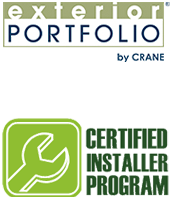 Click here for more information on all the products presented Exterior Portfolio - by Crane. 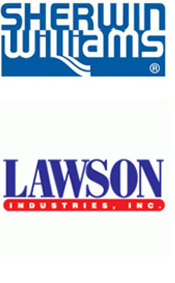 We are a direct supplier and installer of many other quality products such as Sherwin Williams Paint and Lawson Windows and Doors. Please contact us or request a free estimate too find out what we can do for you on your next home improvement project. Typically, we will respond to your request within 72 hours and setup an appointment with our estimator as soon as possible according to your schedule. Our estimator will review your project for free and recommend all the necessary quality products and services needed to complete your remodeling project quickly and successfully. There are many different remodeling requirements and situations for each home and many different quality materials to choose for each renovation project - so we are here to facilitate you in deciding the best - most affordable solution to accomplish your goal of improving the value of your home. Robert Hershberger Construction is a Certified Green Professional since 2011. According to the National Green Building Program of the National Association of Home Builders (NAHB), we have taken all the necessary steps to make sure we are up to date on all the newest methods for "going green" in this global conservation era. Along with mandatory safety videos for our workmen - we provide thorough training to our work crews to ensure that work done on green projects are performed correctly and effectively. We also have been officially LEED Certified. LEED stands for Leadership in Energy and Environmental Design. Today, LEED consists of a list of (9) rating systems for the design, construction and operation of buildings, houses and residential properties. We are ready and qualified to work with other LEED professionals, such as architects, on small and large scale green projects. Our goal is to provide our customers with professional contracting services in a modern world. 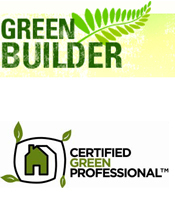 Click here for information on Green Professional Certification. Click here for more info on LEED credits. Why use James Hardie products? According to James Hardie Company, they have the highest quality products in the industry and specifically partner with the best contractors from across the country to make sure that your James Hardie Siding will be installed correctly. All James Hardie Remodelers, such as Robert Hershberger Construction, have extensive experience installing Hardie Board Siding or Hardie Plank Siding. 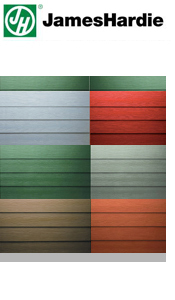 As for choosing fiber cement siding - Hardie Board Siding is an excellent choice to enhance your home's appearance. Click here to learn more about Hardie Board (HardiePlank), Shingle, Panel, Trim, Soffit, Artisan or ColorPlus Technology. Your home is your top priority and your biggest investment. It needs to look good and "up to date." We can help you get your house in "tip top" shape with the latest in functional kitchen design or exciting bathroom design. We can install a nice new vanity design, modern tile design, beautiful marble or wood floor, hurricane ready impact windows and doors, and it's always nice to add a fresh coat of paint to your home. However you say it - we've got you covered to remodel - renovate - or - simply help you with your next home improvement project. 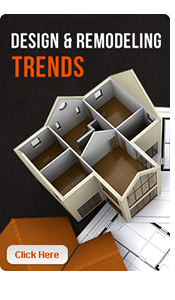 Click here for links to Modern Design Trends for Remodeling. Click here to find out more about our professional services.